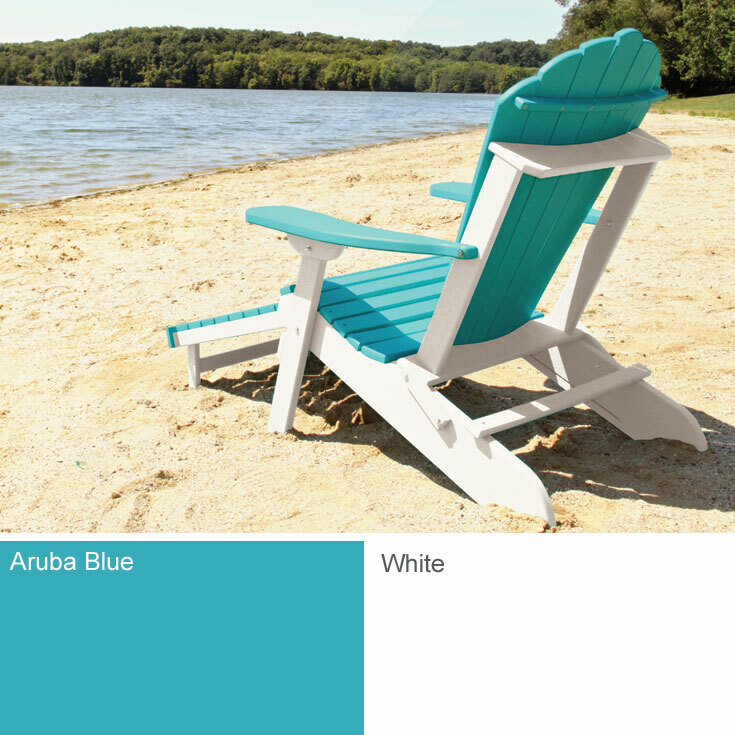 Aruba blue and white are the perfect combination for a coastal area with its major beach vibes. When the bright and cheerful Aruba Blue is combined with the clean lines of white poly lumber it has a nice, carefree aesthetic. 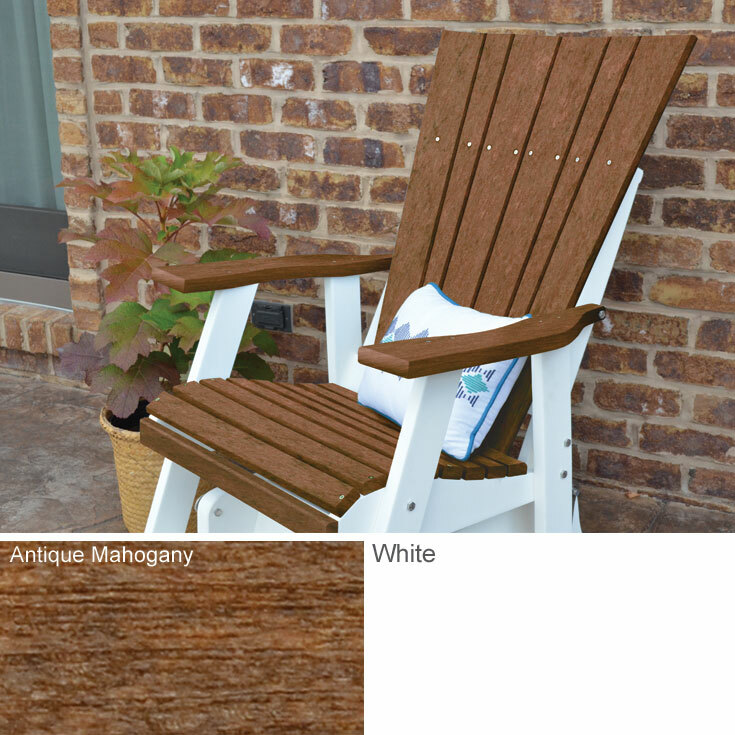 While brown and white might not seem like the most exciting combination, they are incredibly versatile. By adding a few colored pillows, the entire feel of the area can be altered from fun summer colors to a more subdued fall look. The texture on this Antique Mahogany wood is also incredible. 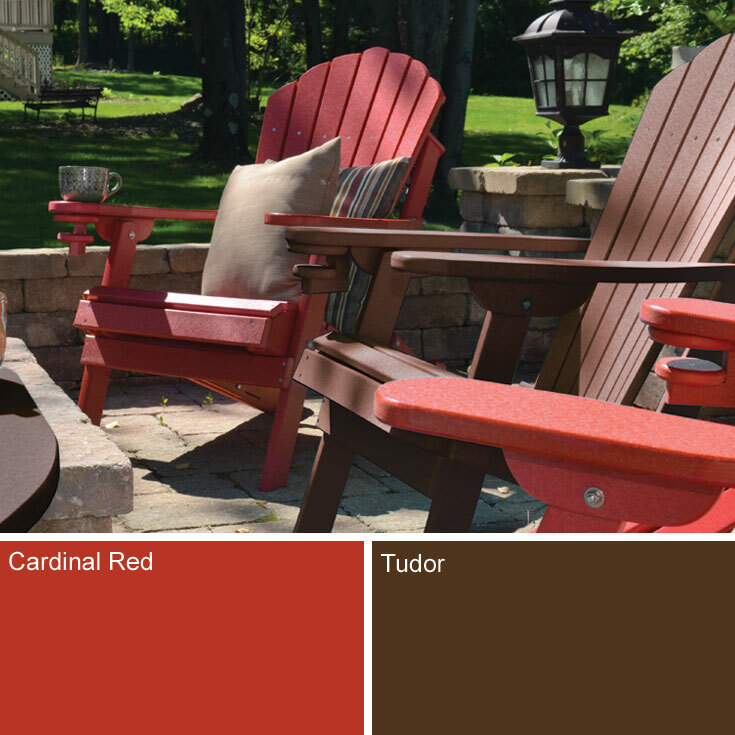 Perfect for completing your relaxed fire pit area, the Cardinal Red and Tudor combination has a tranquil element to it. 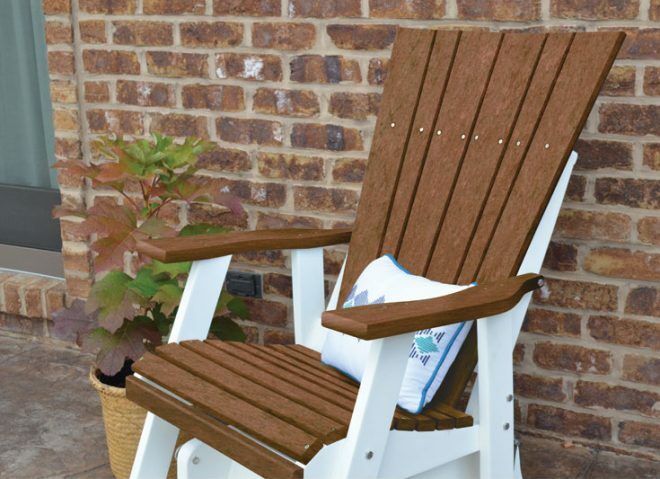 While this might not be the first combination that comes to mind, it makes a perfect pool-side ensemble. 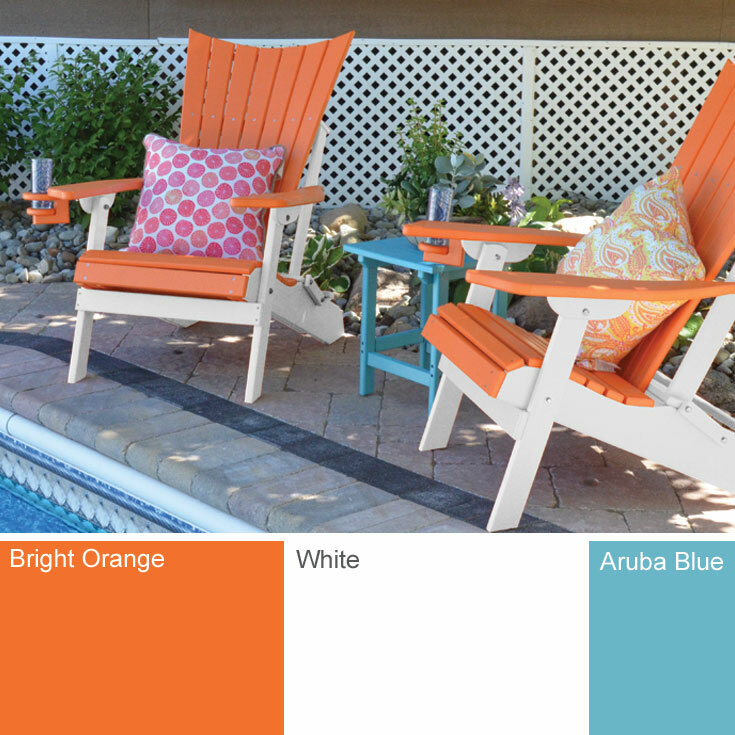 Adding an Aruba Blue side table to your Bright Orange really brings summer fun to mind. 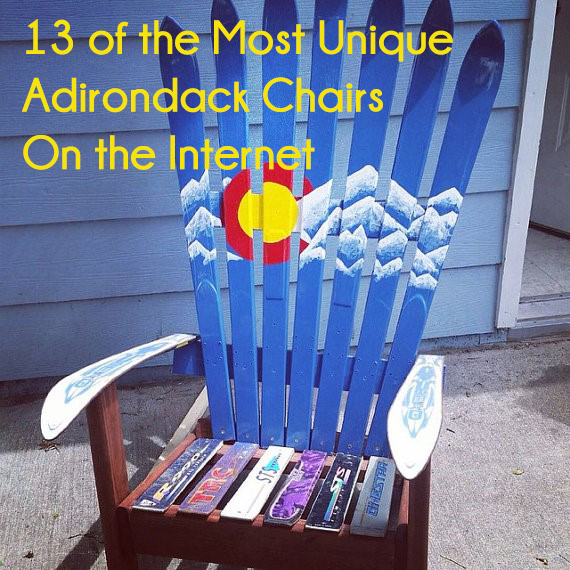 A side table with your Adirondack Chairs is also a great place to keep your summer read close by. 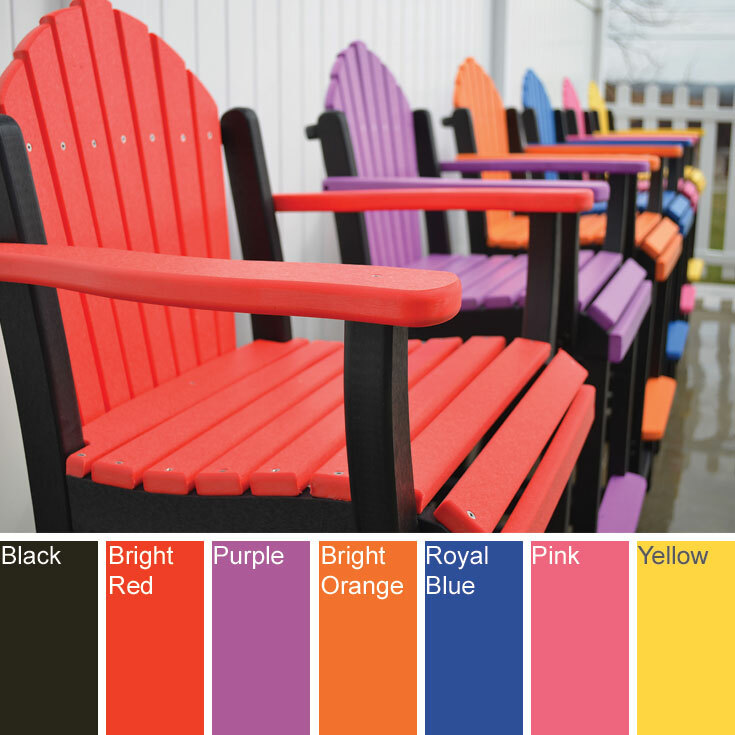 Using black as a defining element really helps to tie in the many colors used in the set. Without it the collection would look thrown together and mismatched, but using that one unifying color brings it all together. 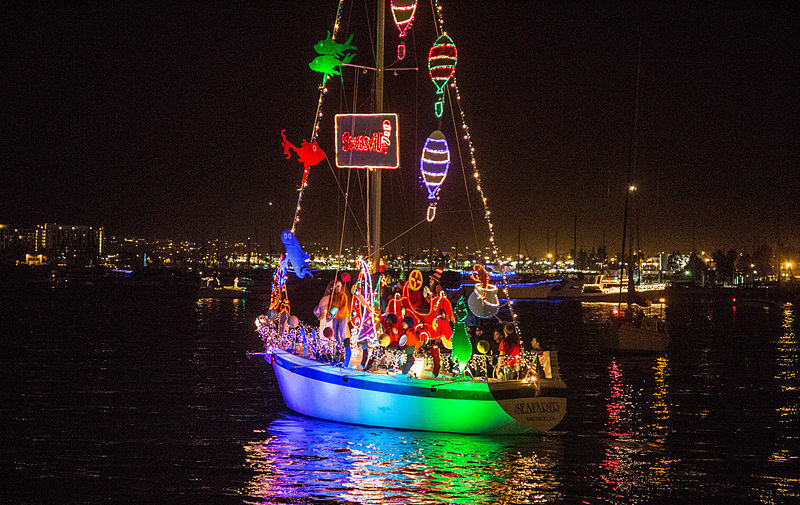 It is the perfect combination of fun and function.